How much does it cost to advertise on keysfleamarket.com? 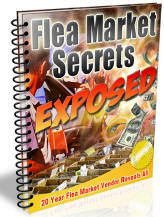 Keysfleamarket.com will only publish information that you make available during the sign up process. If you are not an advertiser and don't want your address and phone numbers published, DO NOT ENTER THEM! However, some fields are required like your City, State and Zip will appear, this is used for the map option. I am outside the US, can I place an Ad on keysfleamarket.com? For now keysfleamarket.com advertisements are only available to businesses located in the United States and Canada. My business has nothing to do with flea markets, vendors or wholesalers, can I still advertise on your site? No I check site and new ads like clock work, if you spam my site or place an Ad that I do not approve of, it will be deleted. What will I need before I start placing an ad? Photos: Uploading digital photo's of your business is optional but recommended to get more traffic tyo your Ad. How do I place an ad on keysfleamarket.com? When you sign up use a username and not your actual name. keysfleamarket.com relies on cookies to assist in the ad creation process. If you are looped back to the login page continuously, this means that cookies are being blocked. Cookies can be blocked by your web browser or a firewall or security program. You may need to adjust the settings on your browser or firewall to accept cookies. This issue is most commonly caused by ad blocking software run in a firewall, Internet Security program or web toolbar. If you temporarily disable the program, you will be able to see the preview. Go to the login page and enter your email. By entering your email address, we can email your username and password to you. How do I upload my images to my Ad? 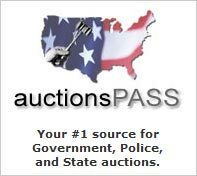 To upload the images, go to the Sellers Admin section of keysfleamarket.com, and login. This will bring up all the ads you have placed. Select "Modify Ad" for the ad you want to edit, and then click on "Edit Images". Click Browse and choose the photo you want to use, and click on the "Upload" Button. Repeat this process up to 5 times. Now you can edit the order in which the photos are displayed. NOTE: You are able to upload a total of 5 images to your keysfleamarket.com online ad. Please note that all images must be JPEG or GIF format and must be no larger than 200 Kb each. Can I check how many people have viewed Ad? Just go to your Ad and look at the bottom of the page. There is a counter there that will tell you how many times your Ad has been viewed. All customers will receive and email notifying them of the expiration and how to renew as well. How do I remove my Ad from keysfleamarket.com? Login to the admin section and click Edit Ads. Then, delete the Ad. I found an ad that seems a bit suspect, what should I do? NEVER agree to deposit money in a bank account or via Escrow without being completely sure about the business. If an ad looks too good to be true, it probably is. Report any suspicious ads to us immediately. Please be assured that fraudulent ads rarely make it onto our site but it always pays to be careful. I have tried to contact an advertiser but their number seems to be incorrect. How can I contact them? The keysfleamarket.com team only has the information that the advertiser puts into the ad. If an advertiser has put in an incorrect telephone number then try emailing them. If they do not answer the email then keep monitoring the ad that you are interested in as the advertiser will usually rectify this issue themselves.